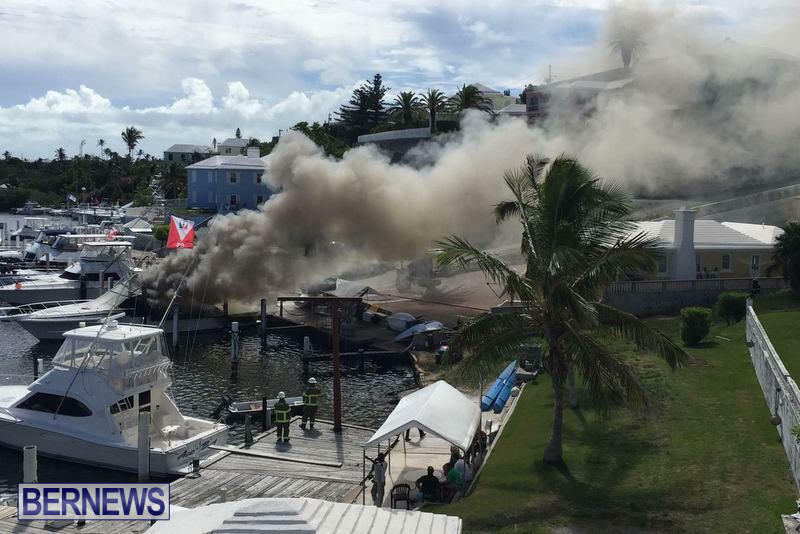 [Updating] The Bermuda Fire and Rescue Service have responded to a boat fire this afternoon [June 27] located in the Spanish Point, Pembroke area. 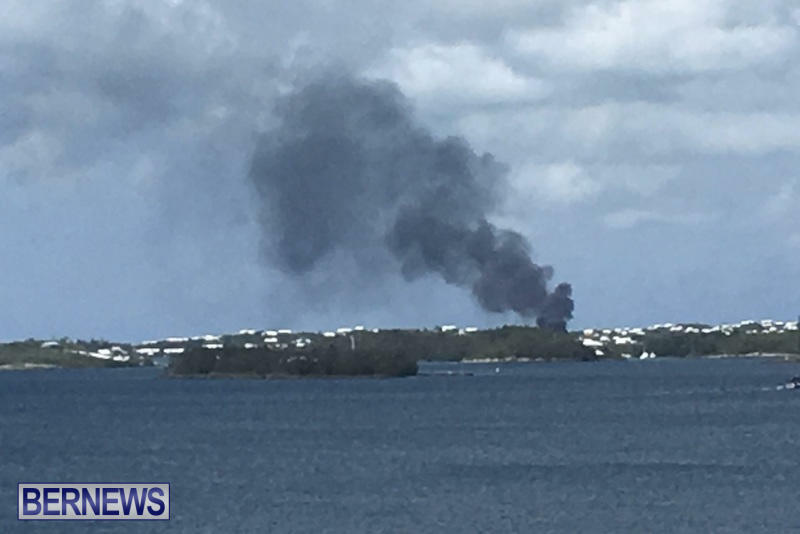 Smoke was seen billowing into the sky from as far away as Southampton as seen by the photo below. Further details are limited at this time, however we will update as able. 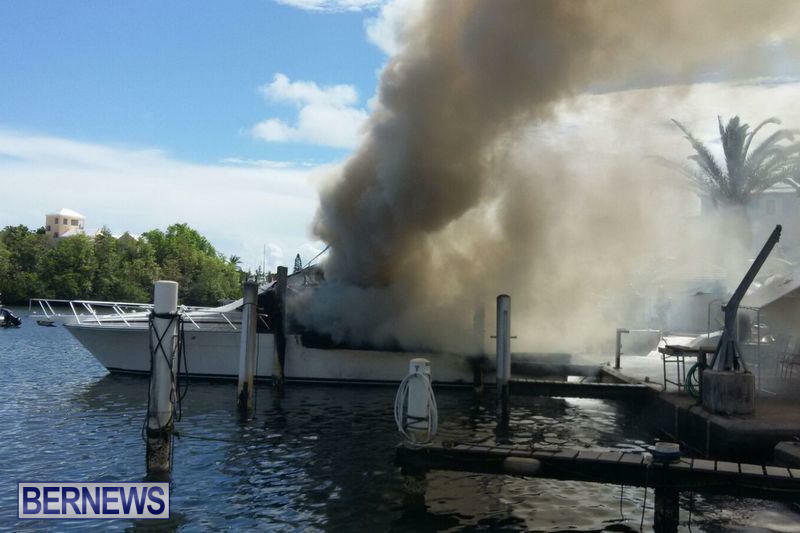 Update 4.29pm: The fire involves an approximate 50′ boat berthed at Mariners Lane and we understand that other craft that were immediately next to the boat involved have been removed to reduce heat and flame damage. Immediately AFTER AC, this happens!! That is the dumbest comment you have made since your last comment. Trust me, he will not disappoint with his next one, he is as stupid as a bag of rocks!! The rain thing is just electioneering they will turn it off again. Behave yourself Boom! And stop swearing. I’m laughing…don’t get so bent out of shape! Wahoo comment funny! Were you there to see first hand some suspicious activity. If not stop with the stupid and childish trolling. Stick to the idiotic comments on the election. Seriously you need to stop with that. This was someone’s pride and joy that burned. @ HSBB STFU YOU UTTER AND COMPLETE IDIOT !!!! Wow those things are highly flammable. Fuel? 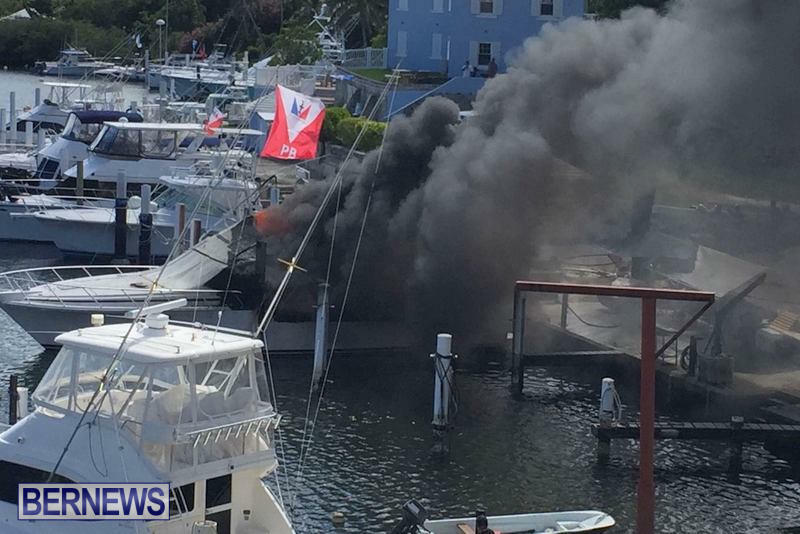 Glad it hasn’t affected neighboring moored boats. I’m interested as to why the fire engine access was blocked right at the top of the hill. I’m guessing there is an explanation but from what I can see the road was blocked by a number of vehicles early in the process and it took an age for control to be on scene as a result. 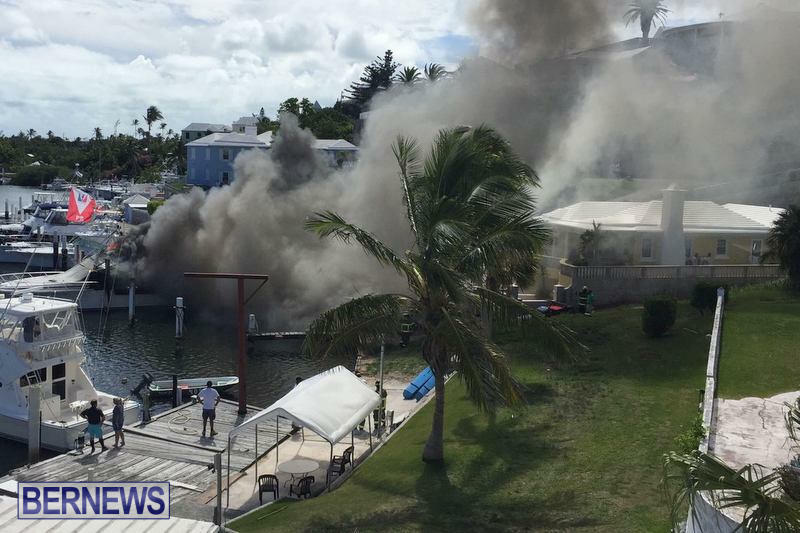 The fire truck was NOT blocked by cars but could NOT get down to the waterside because of a house pillar. Where the heck do you come up with these lines anyway. Nope. First 2 trucks at the bottom of the hill were fire trucks. (1 truck and 1 smaller vehicle) After that was 2 vehicles of people who were assisting. It’s a narrow road and hill. Plenty of people came for a drive up and rubber neck though. Ok so why were they running a hose from a fire truck at the top of the hill, I saw them laying it down the hill and it took an age for them to get going and fight the fire. There was definitely an issue with access.